Atayefs — stuffed to perfection! If you’ve lived anywhere in the Middle East, you probably know what we’re talking about, if not then you’re in for a sweet savoury surprise, normally referred to as atayef. 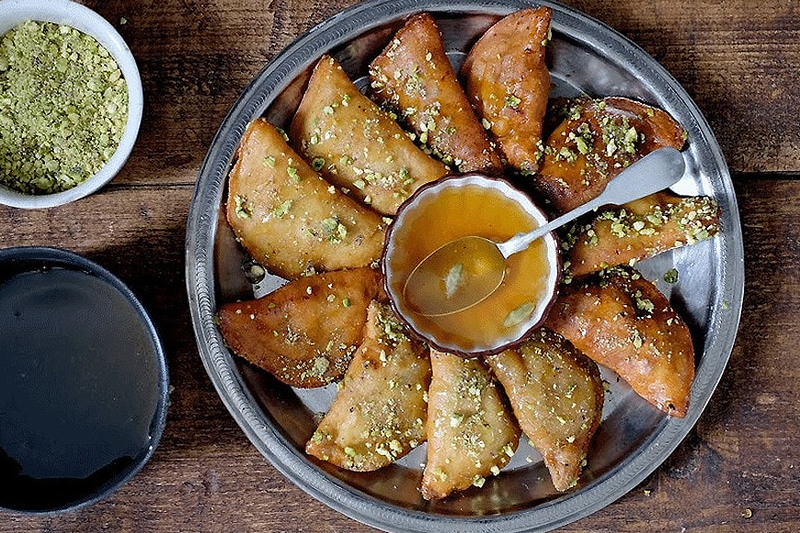 Atayef is the Middle East’s version of the pancake and that’s just the beginning of what this dish is all about. These thin, lacy and stuffed delicacies represent the holy month of Ramadan like no other. What makes them SO irresistibly delicious? The filling. The utterly delicious sweet walnut or white cheese filling deeply fried to perfection and then drizzled with sugary syrup makes them a must-have at every Ramadan gathering. What set them apart from an otherwise cluttered world of flat pancakes is their one side cooking technique. These deep fried mini pancakes are only fried on one side. This allows the flavours to seep into the dough. It's then filled with an array of nutty flavours including walnuts, almonds, raisins, cheese and shredded coconut. Of course, you can alter the filling as per your liking. Some people prefer creamy filling with pistachios whereas others opt for sweetened cheese drizzled with honey and rosemary syrup. Whatever your preference, one thing is for sure — one bite into a hot atayef and you won’t stop till you’ve eaten at least 5.